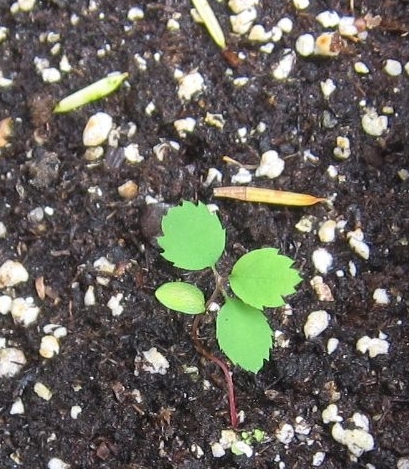 This page has photos of seedlings for native or benign naturalized species to help recognize the "good" plants. 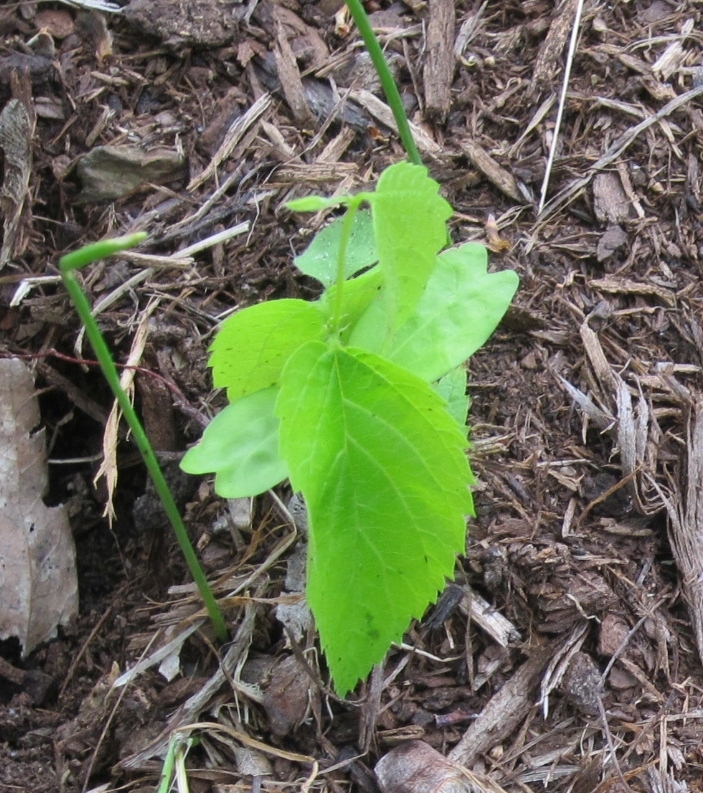 See the invasives page for identification of species you may wish to remove. Click to enlarge the image. Additional (or better!) photos are highly desirable. Please send them to info@flnps.org with species and photographer clearly identified (and permission clarified if not your own image). 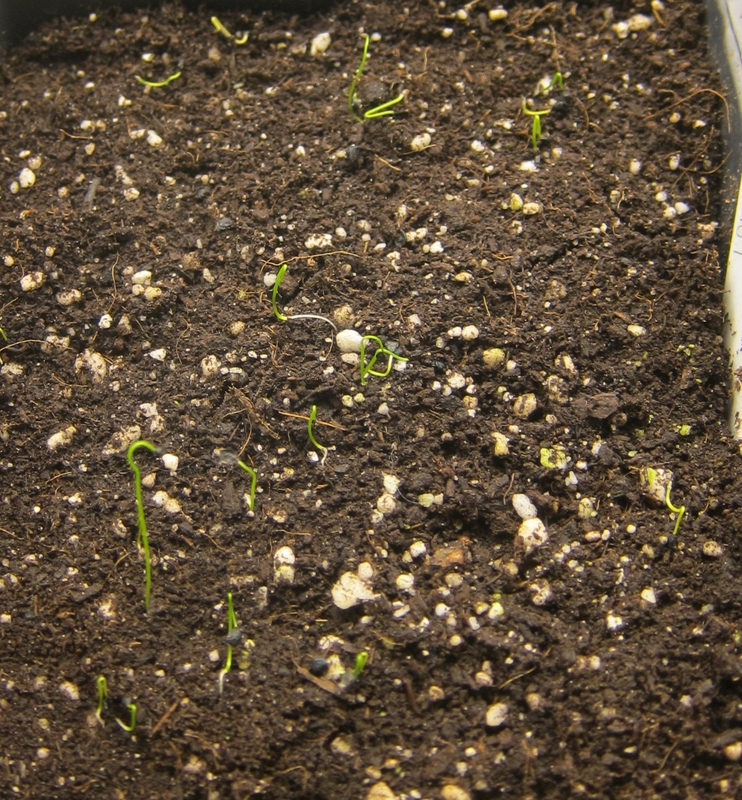 Although these seedlings are chlorotic, they show the typical ovate (chordate?) 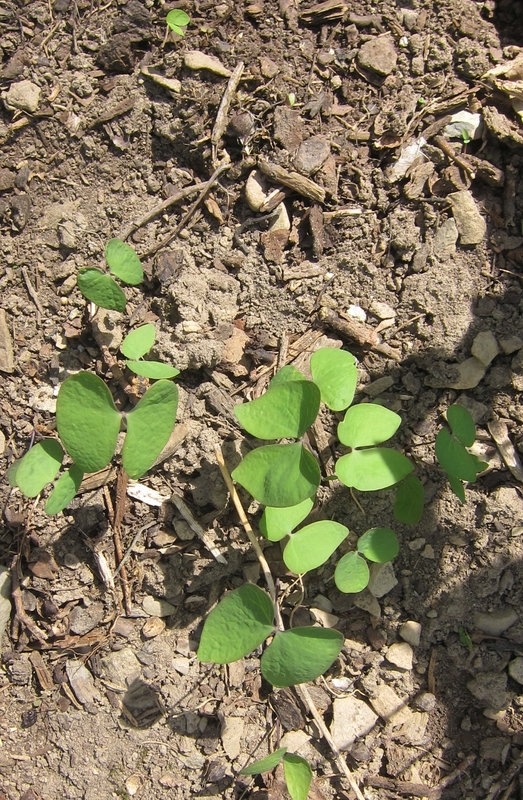 first leaves, while subsequent leaves are lobed. Reddish stems. 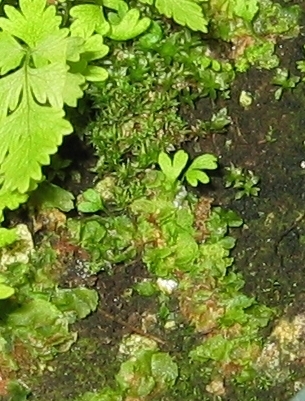 A. pachypoda or A. rubra; note first leaf is distinctive for genus ID, not much help for species. 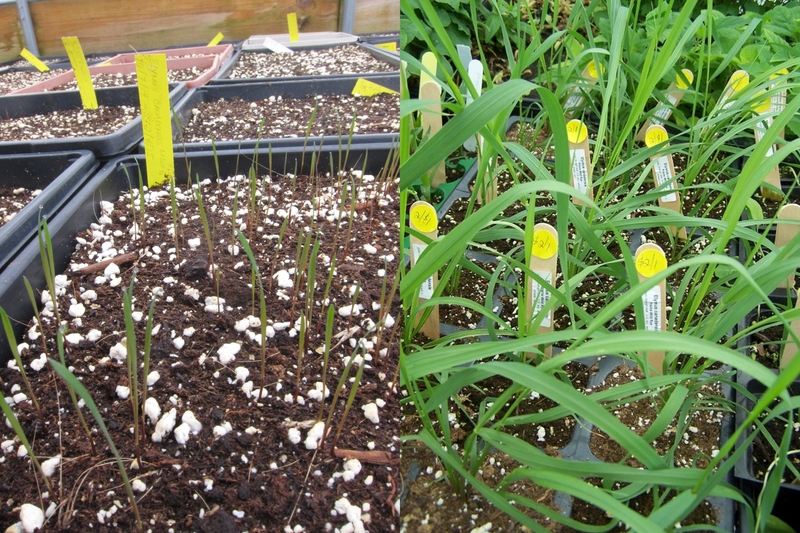 All Allium species germinate with a thin grass-like look. 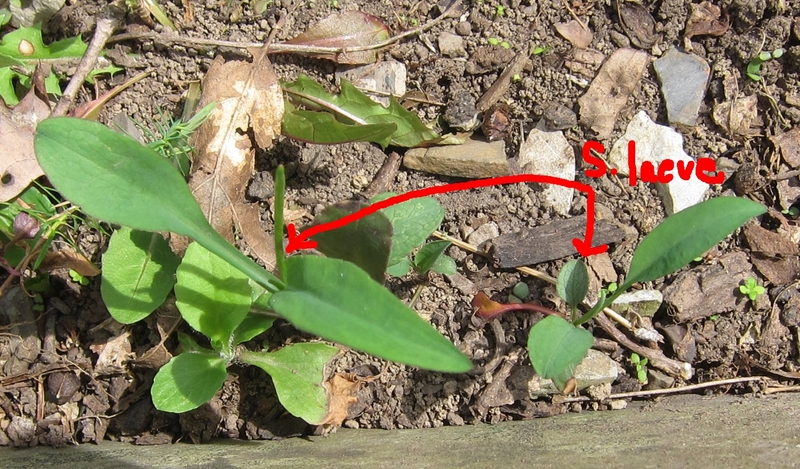 Also see Erythronium, which are a bit larger cross-section. Amelanchier species, not clear which one but several Finger Lakes native Amelanchiers start out looking like this. 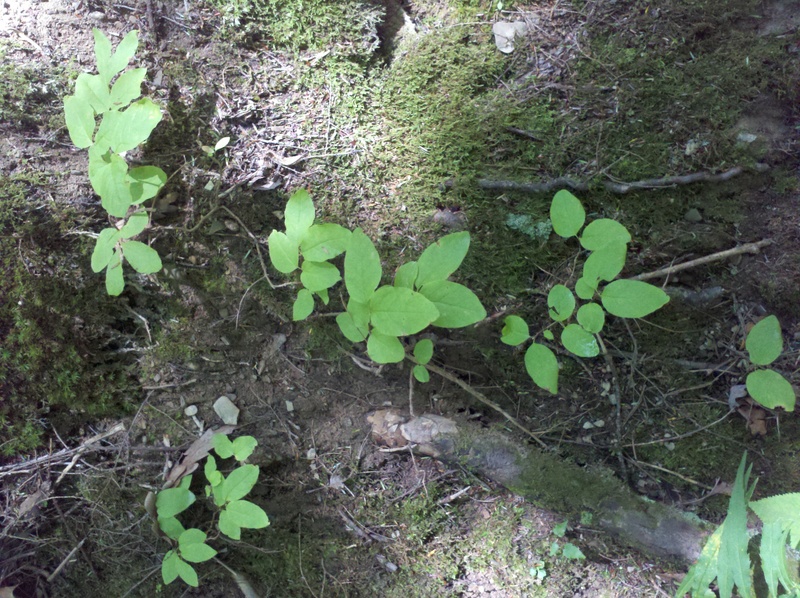 Densely hairy leaves, pale green, very small. Note pointed buds and spotted bark. Note the rounded tip and deep sinus. 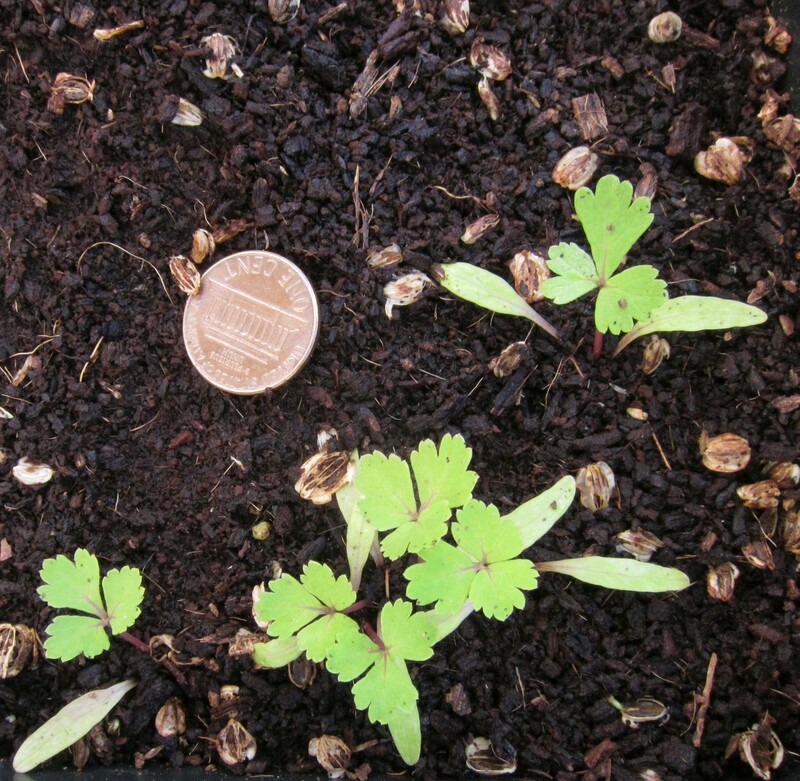 Young plants, whether seedling or offshoot, lack the wider basal leaf seen in larger plants. 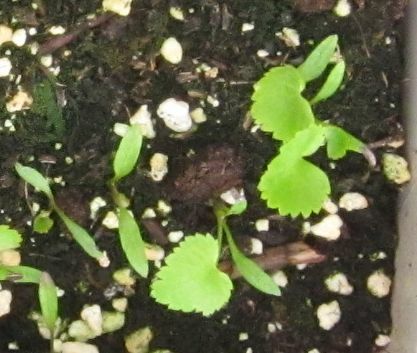 All campanula cotyledons are very small. 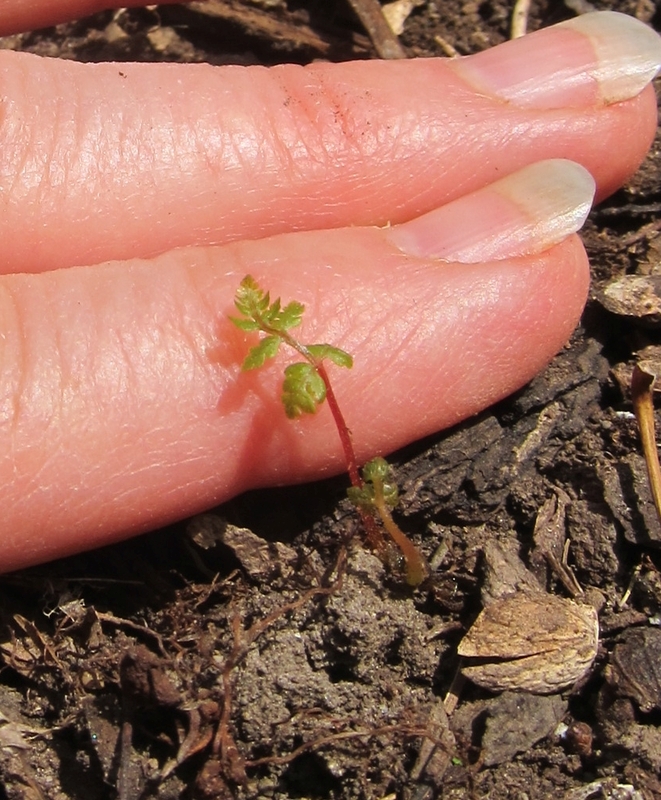 Not really a seedling, but the result of a fallen "bulblet". 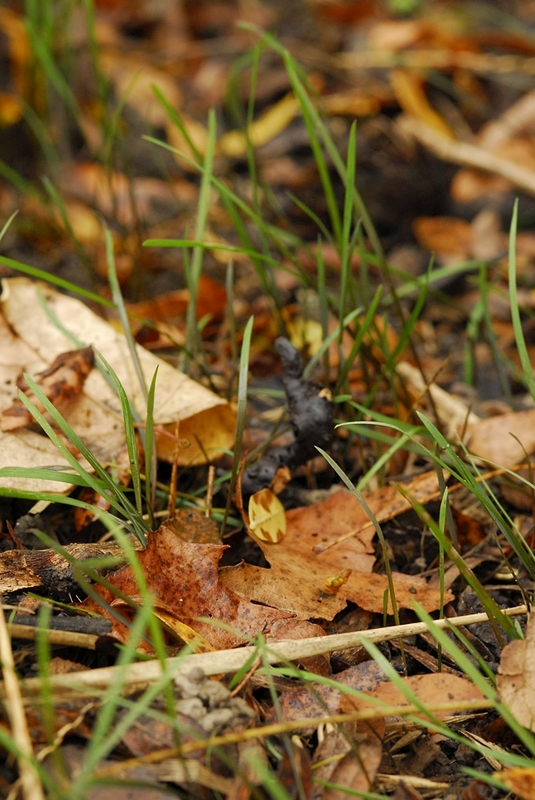 Very tiny but red stalk is distinctive. Blurry, but the color is true. 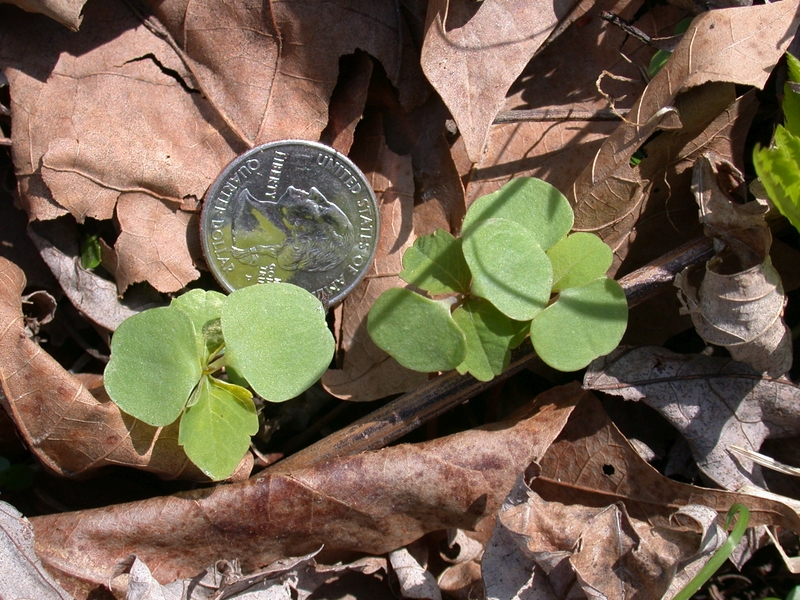 The wide, hairy leaf with visible veins is easy to recognize. 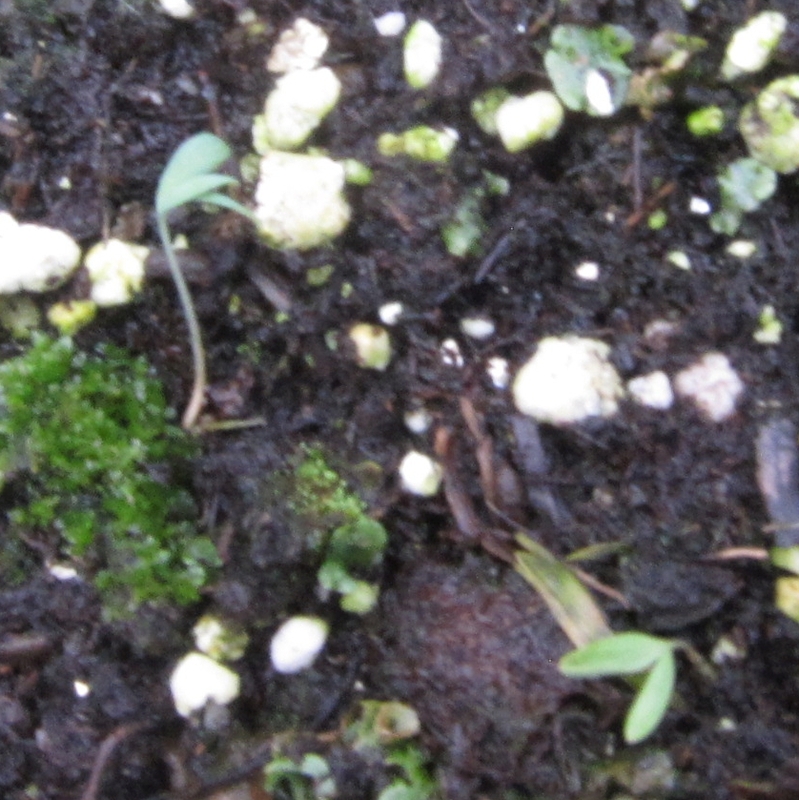 The teeny fringe in center is the first sign of the new asexual form (i.e. "normal fern"). 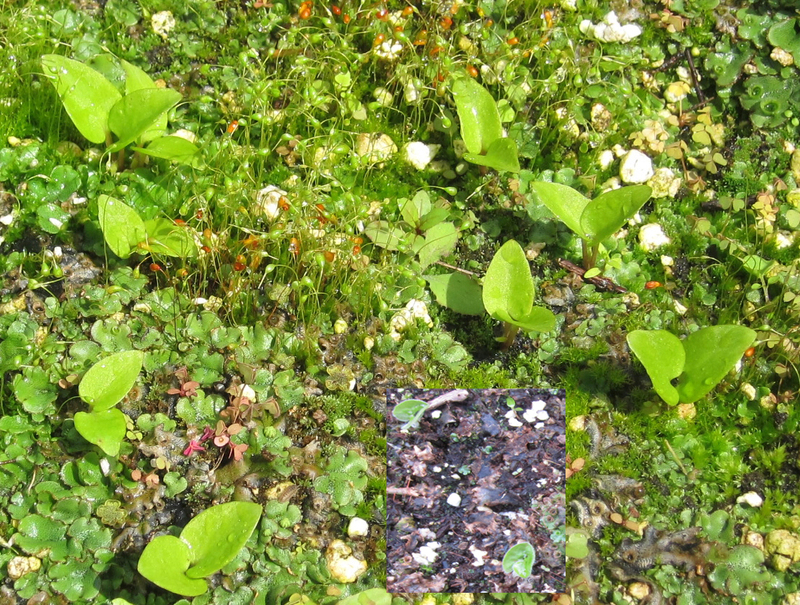 It can take a year to reach this point, although the sexual forms will show up fairly quickly (note flattened green gametophytes below the moss). 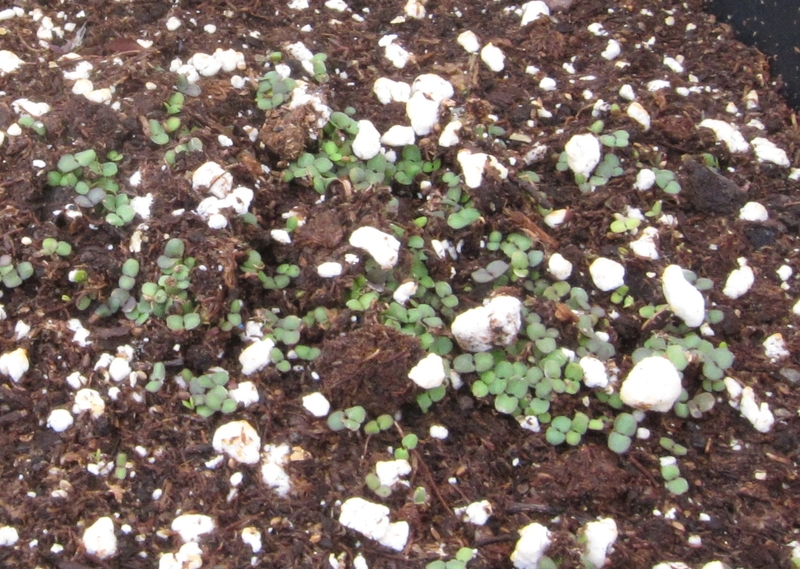 The teeny fringe in center is the first sign of the new asexual form (i.e. "normal fern"). 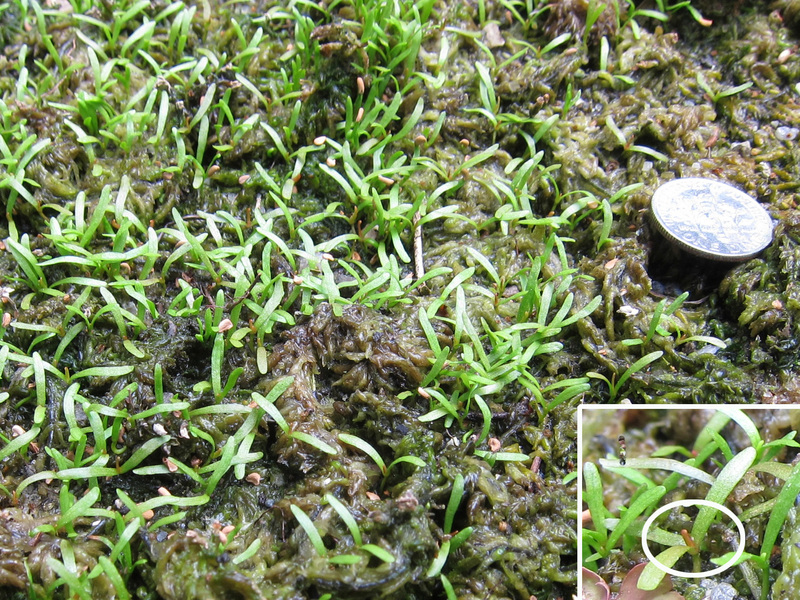 It can take a year to reach this point, although the sexual forms (note flattened green gametophytes below the moss) will show up fairly quickly. First sighting is a slender bronze-burgundy wisp. 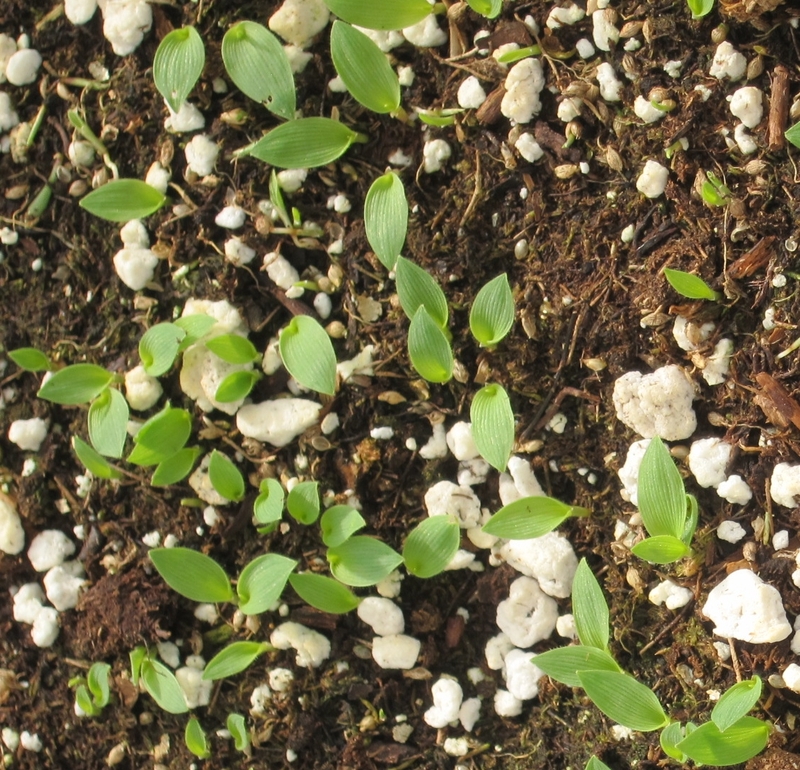 After a few inches the blue tinge of a mature plant MAY be visible. 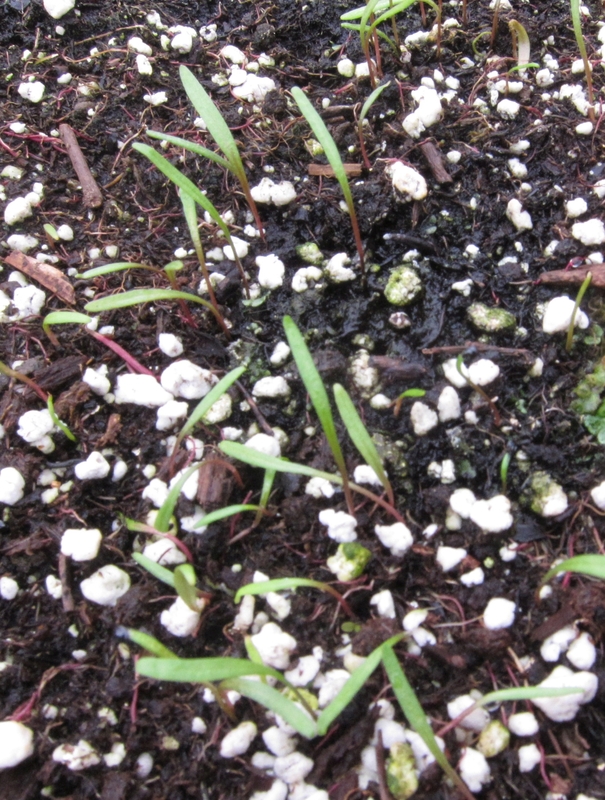 It's hard to ID grass seedlings. Look for red coloring near the crown. Purplish initially, note green true leaf. 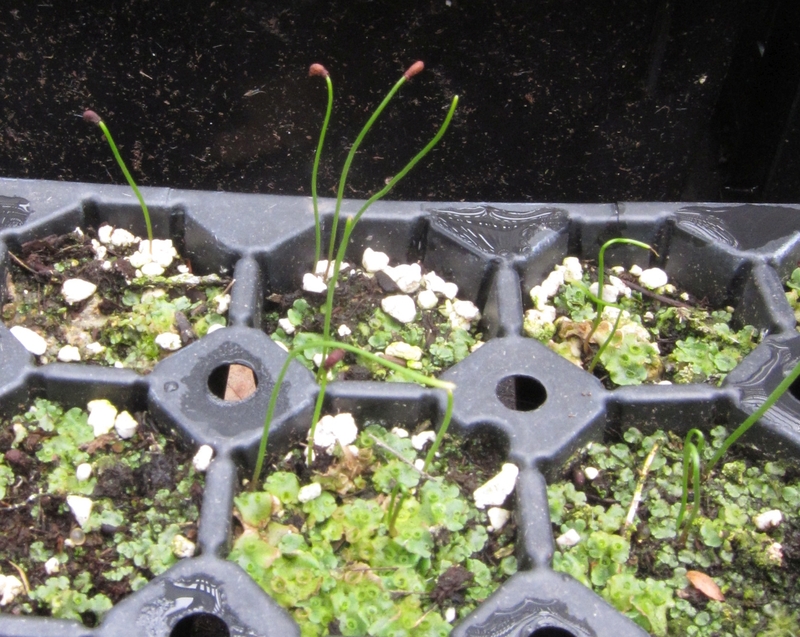 Erythronium species all start like thin wires with the seed on top. Very similar to Alliums. 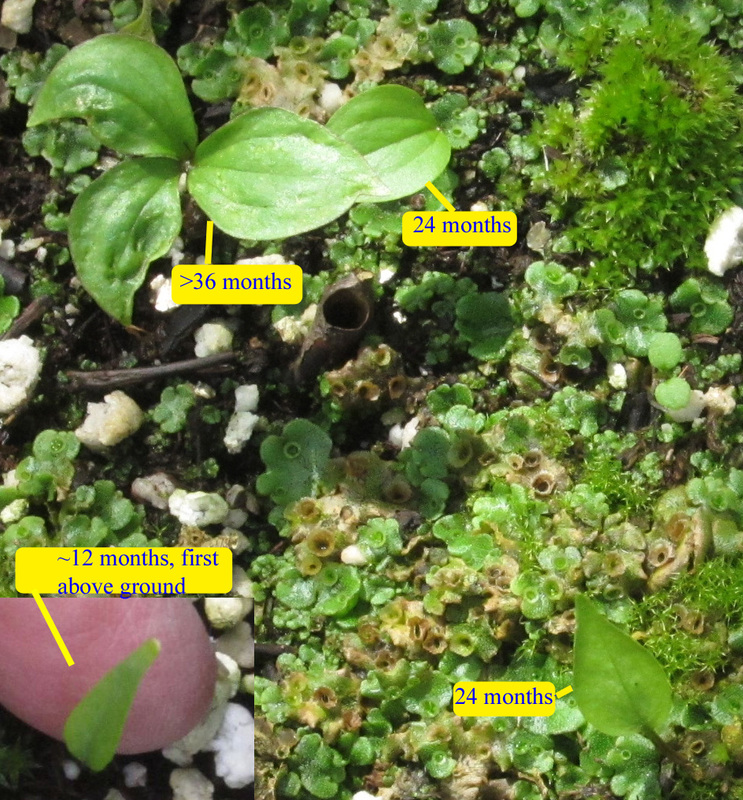 Hepatica can take 1-2 yr to germinate, so moss and weeds are common. 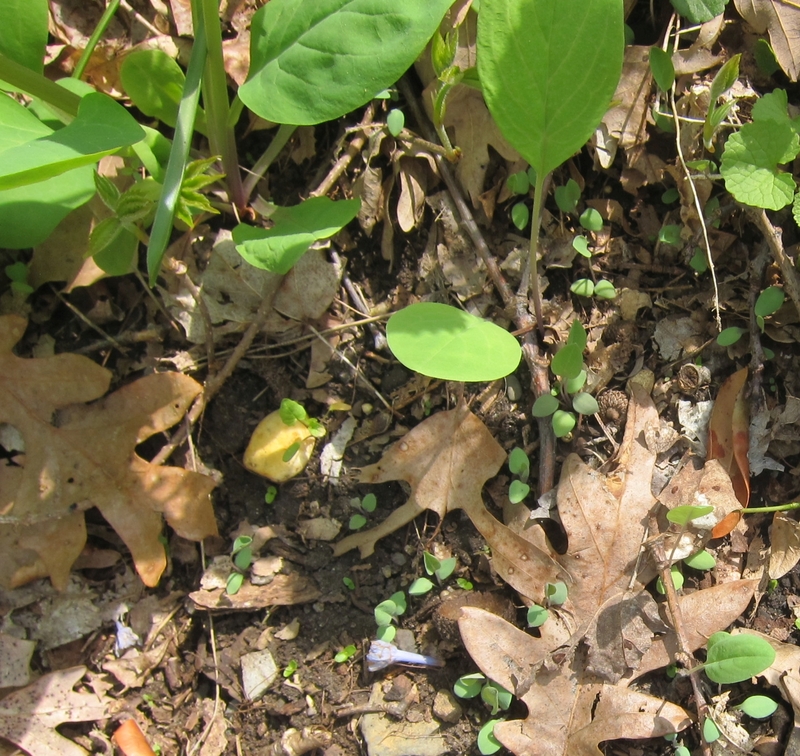 Hepatica has bluish tinge, reddish stem. Violas show true leaves faster! Light green leaves on fat stalks. 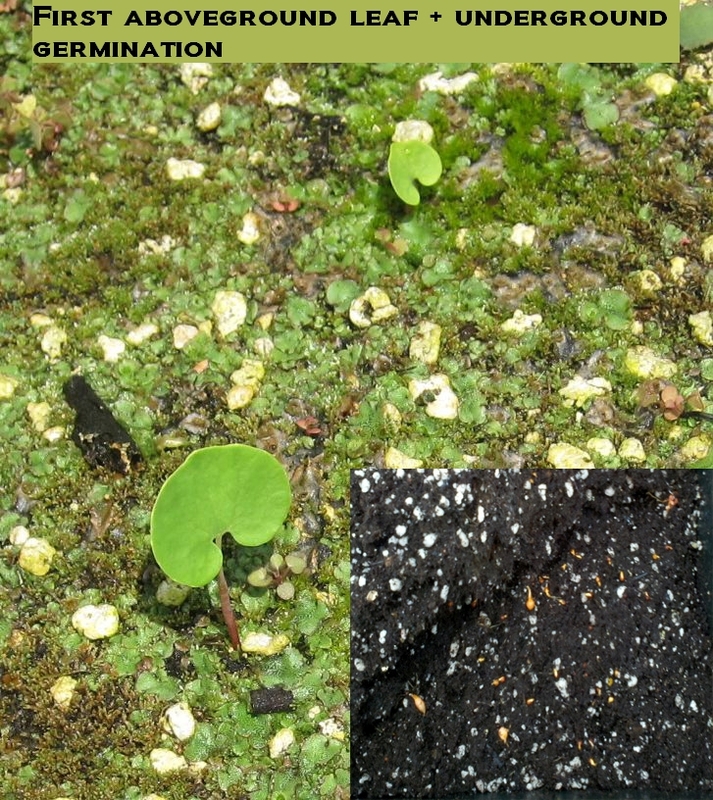 Both cotyledons and first real leaves shown. 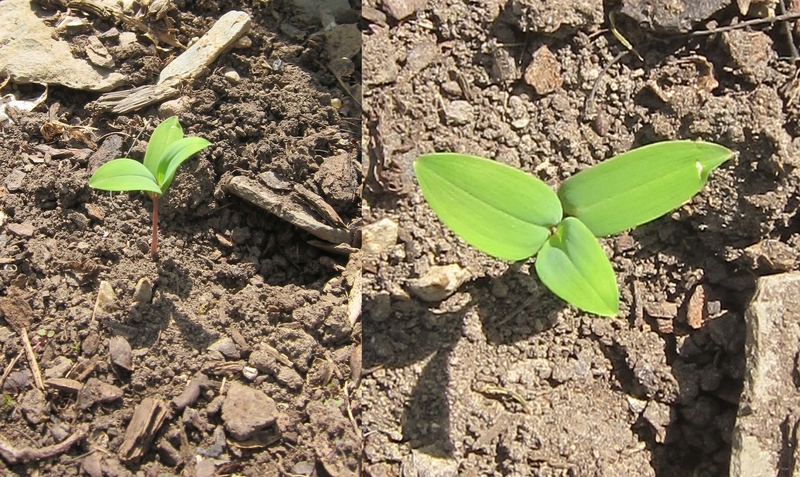 First leaves are more pointed and more bluish (as are the cotyledons) than those of year old plants. Both are in this photo. 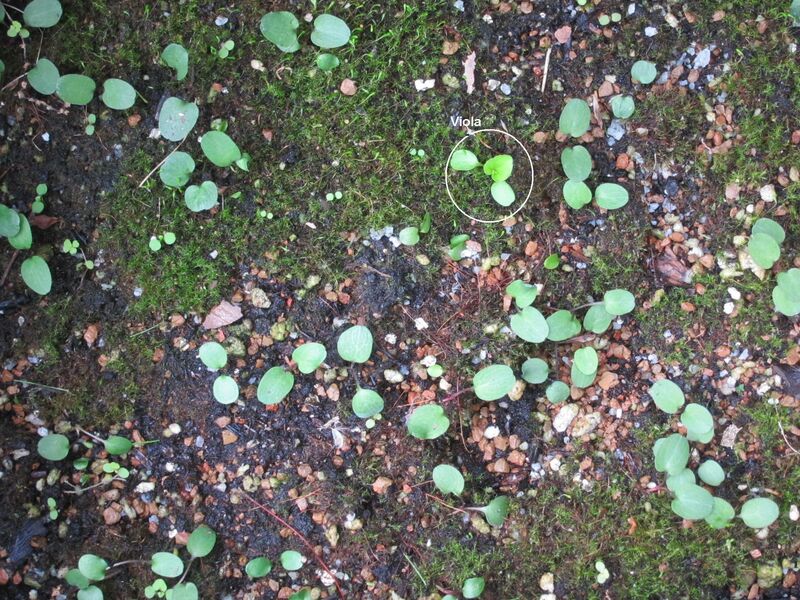 Note the fuzzy leaves on this aggressive self-sowing naturalized plant. Compare to Rudbeckia sp. 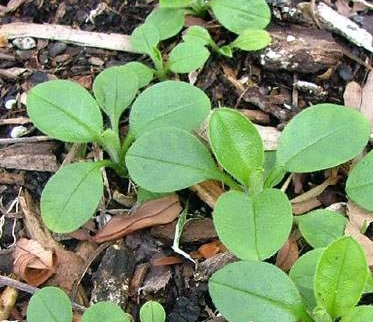 This distinctive leaf is usually seen by the second spring after sowing. First year underground growth is shown in right corner. 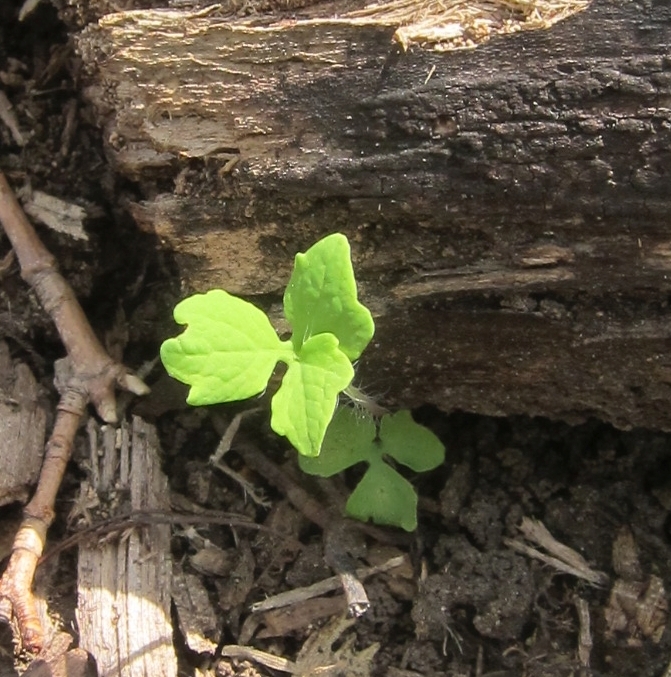 Distinctive leaves even when young. A very prolific self-sower in moist woods. Non-native in NY. 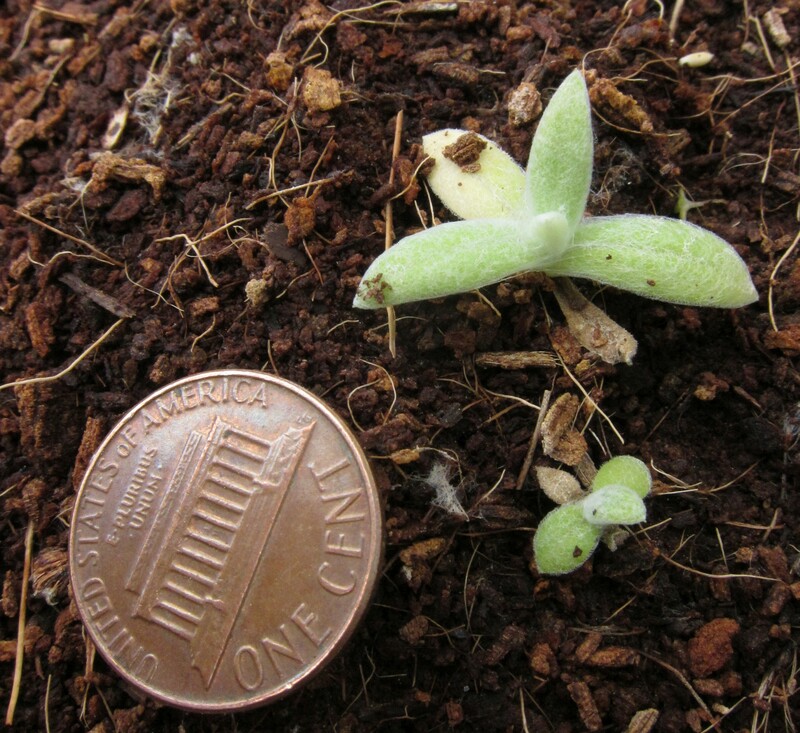 First year growth is underground, then cotyledon (12 months), first true leaf (24 mo). 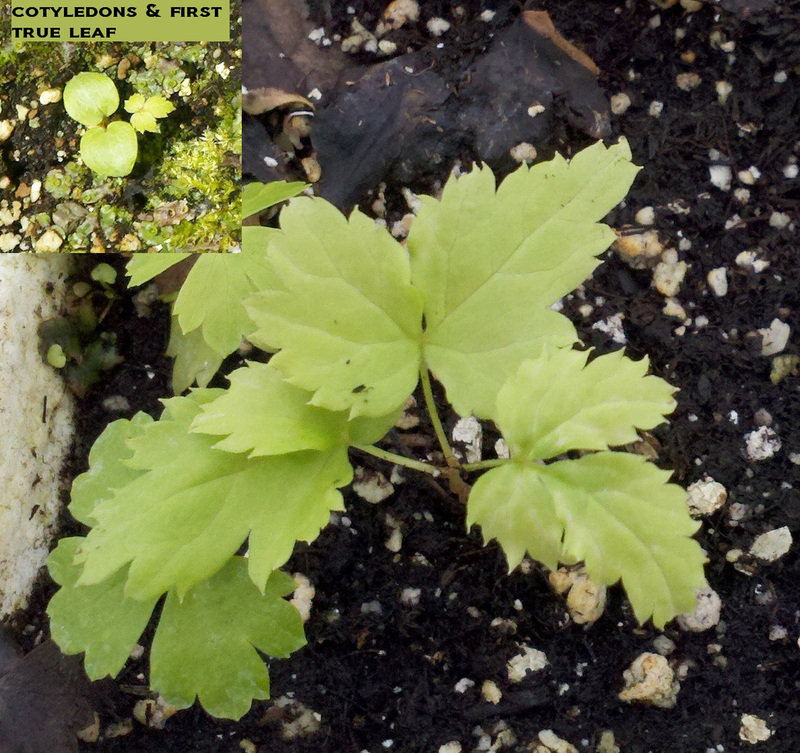 Typical 3-lobed leaf after roughly 36 months.